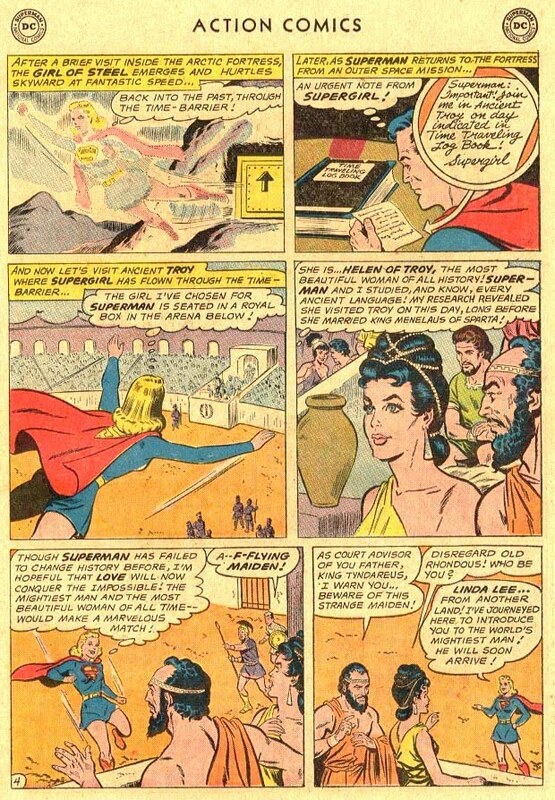 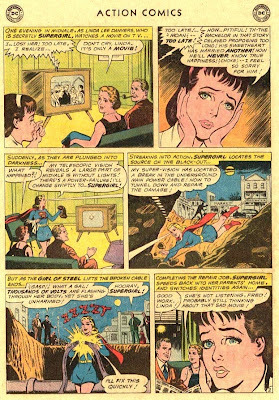 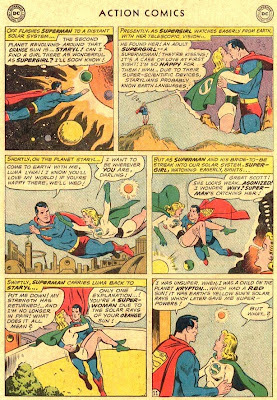 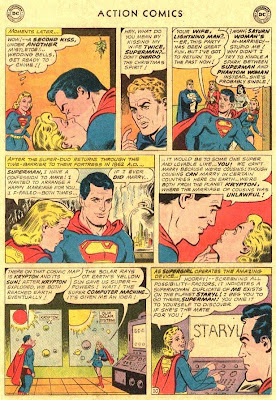 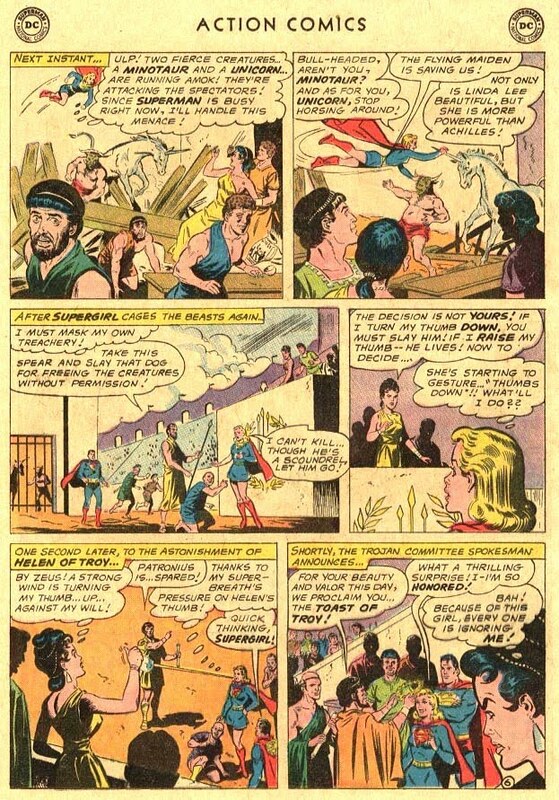 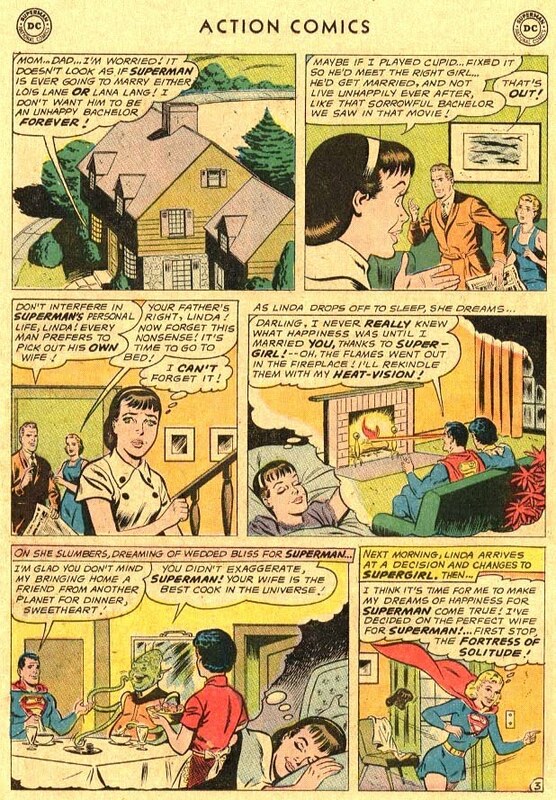 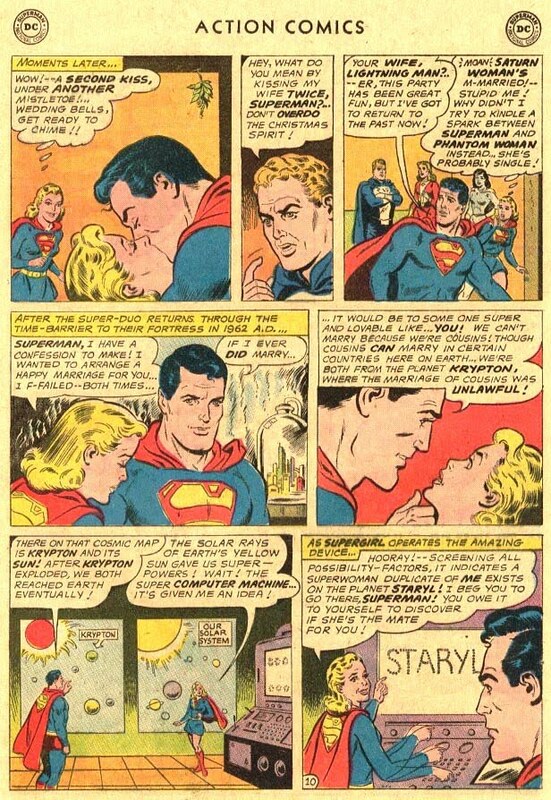 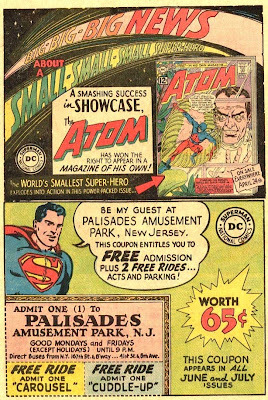 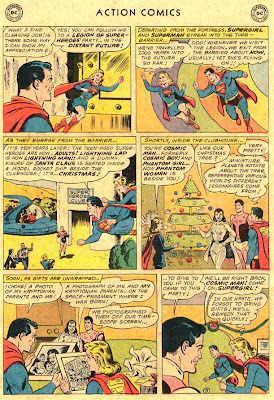 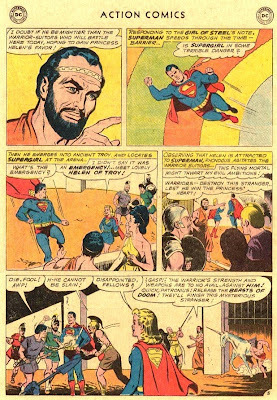 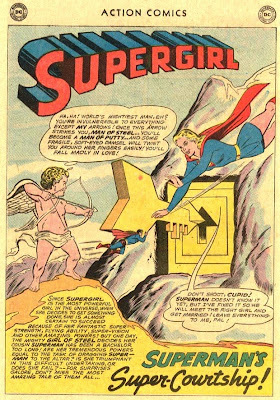 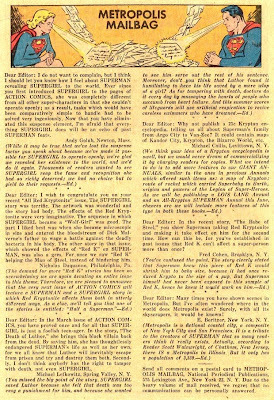 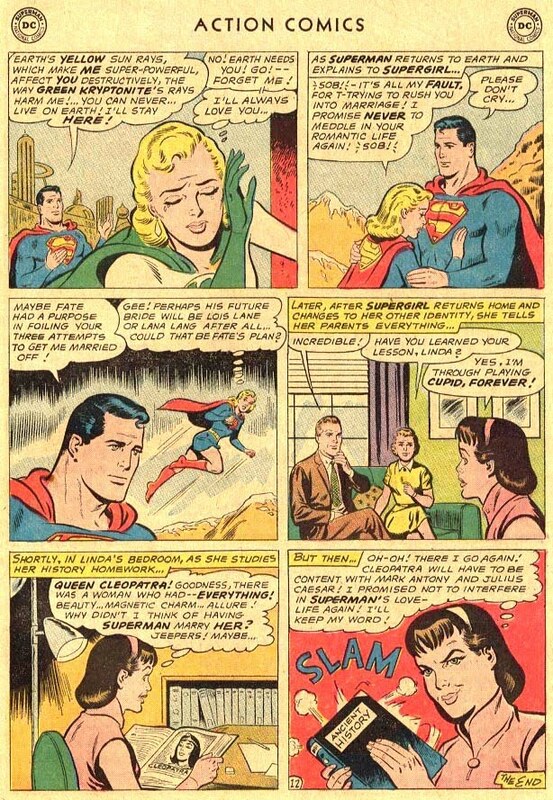 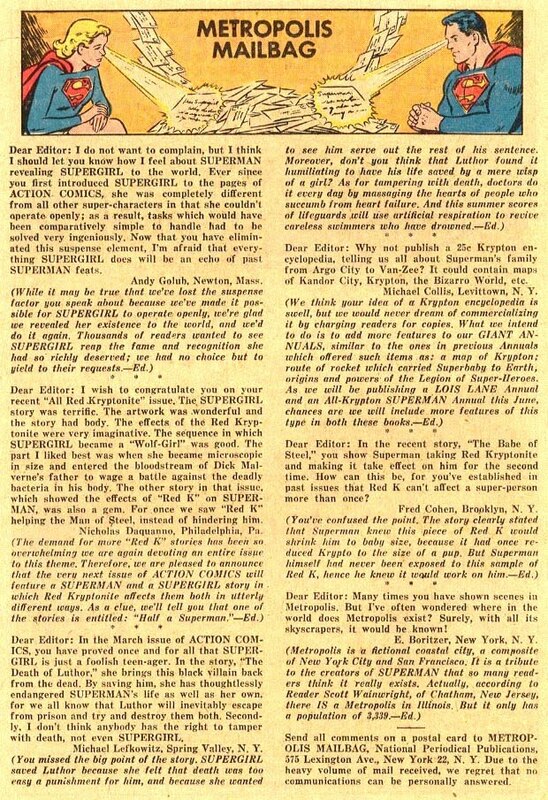 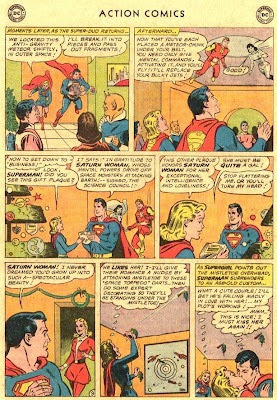 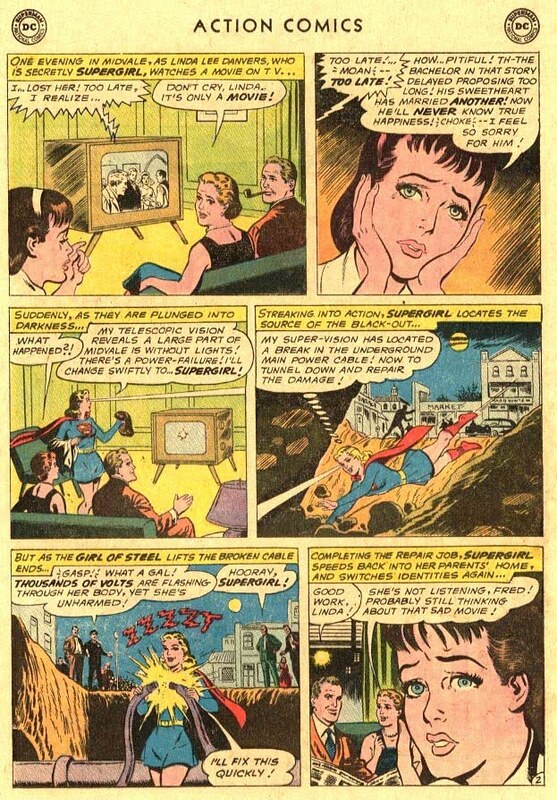 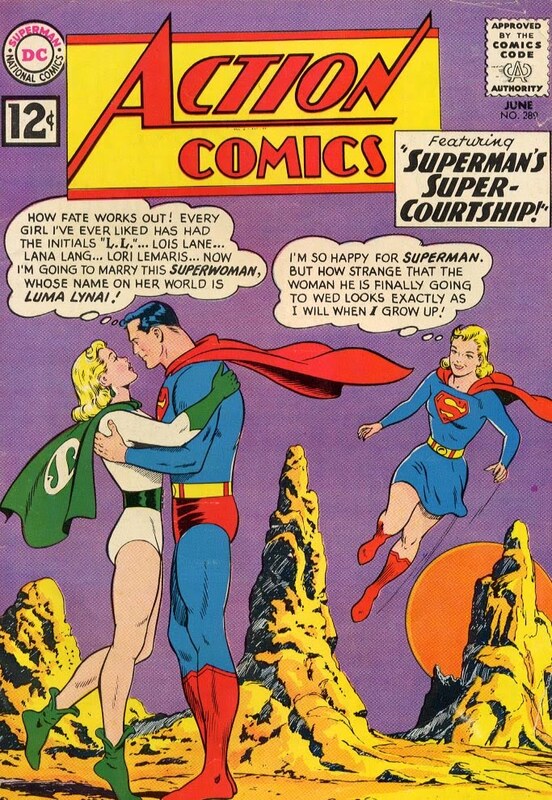 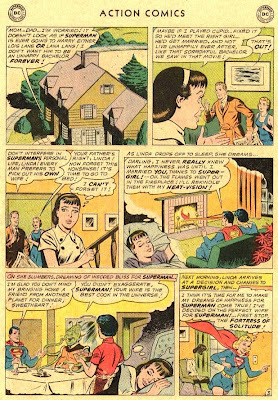 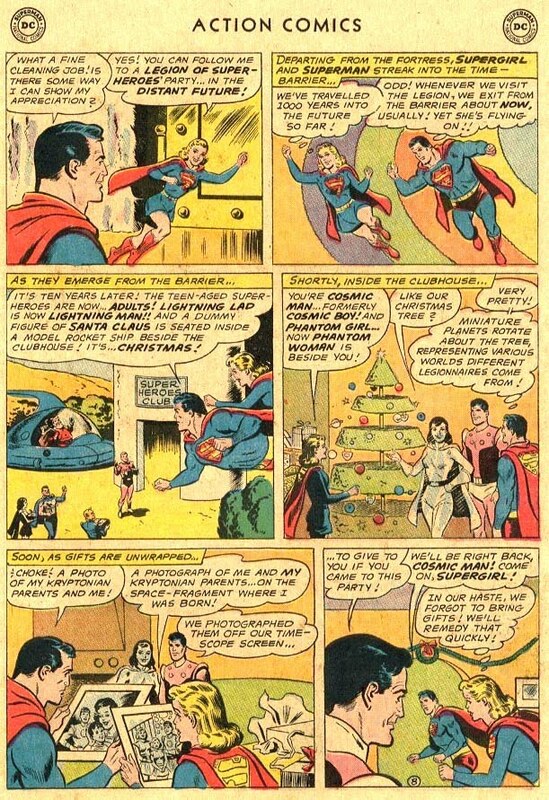 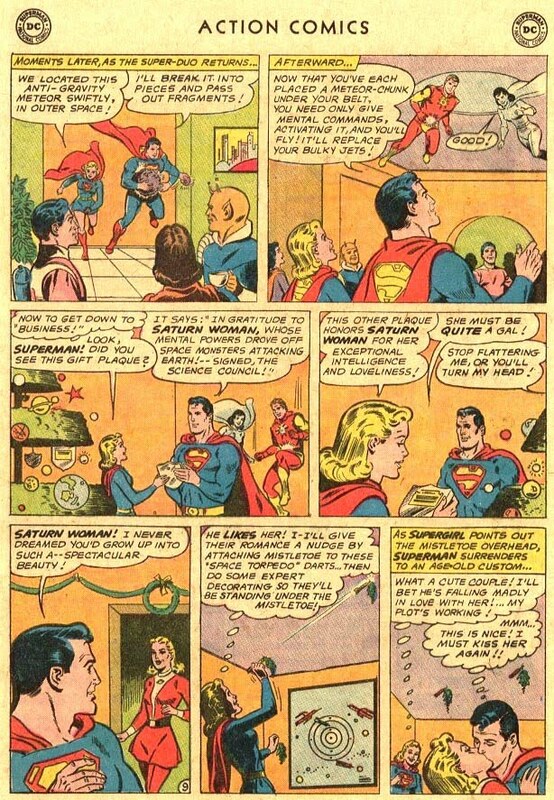 Supergirl: The Maiden of Might: Action Comics #289: "Superman's Super-Courtship!" 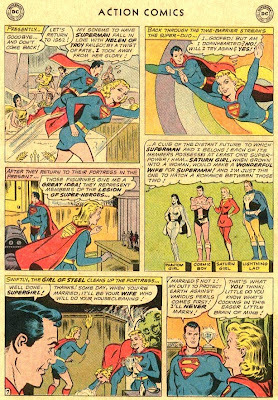 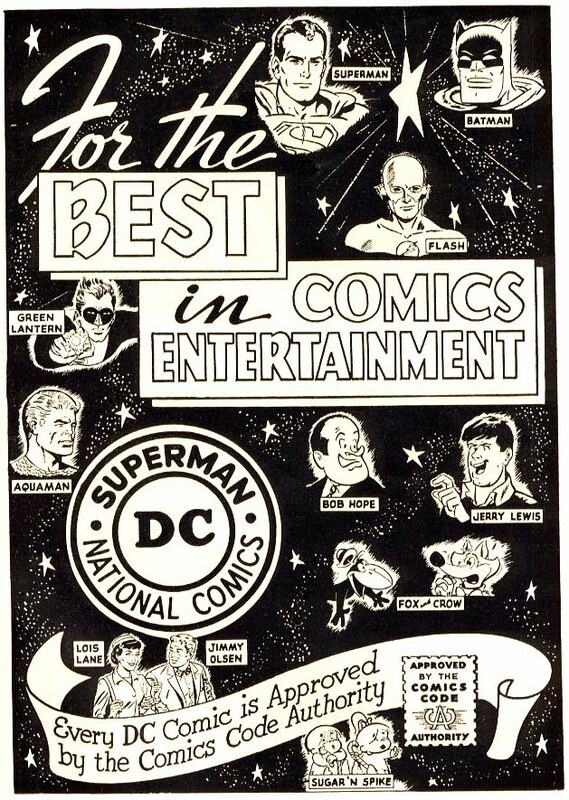 Characters: Supergirl (also appears as Linda Danvers); Superman; Luma Lynai; Helen of Troy; Rhondous; adult Legion of Super-Heroes [Cosmic Man; Phantom Woman; Chameleon Man; Triplicate Woman; Sun Man; Saturn Woman; Brainiac 5; Lightning Man]; Fred Danvers; Edna Danvers. 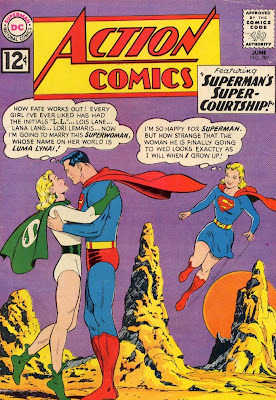 Synopsis: Supergirl tries to play matchmaker for her cousin Superman with Helen of Troy, Saturn Woman, and Luma Lynai of Staryl, but realizes she needs to leave Superman's love life up to fate.